Creation of sales and supporting materials for a luxury development in Grand Cayman. 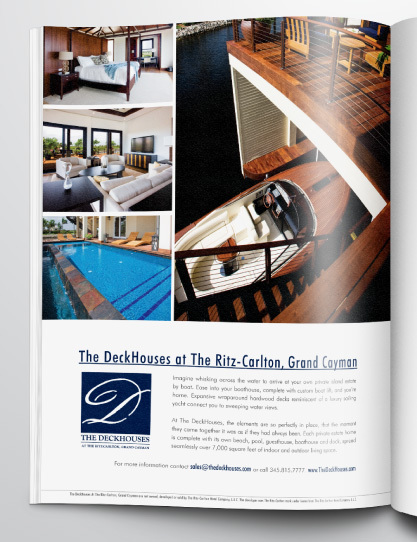 The Deckhouses at The Ritz-Carlton are an exceptionally luxurious real estate project of elegant waterfront villas. The client needed their entire portfolio of sales and supporting materials for advertising, client collateral, post sales activity etc. 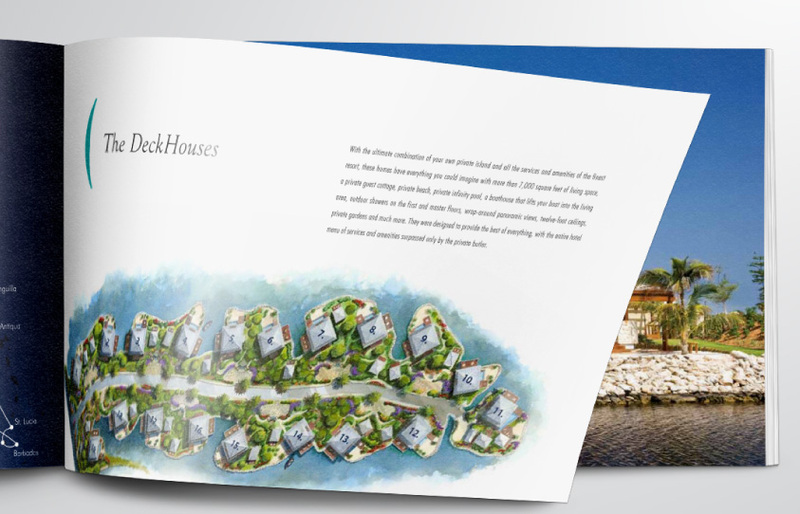 Our team has a large amount of experience with luxury real estate projects and the client came with developed brand guidelines. The innovation came in the application of these guidelines to create unique materials that stood out from the crowd. Some of the final materials we delivered included; a trifold portfolio with all the collateral needed for a potential client,an 86-page leather-bound brochure to provide to customers upon purchase, powerful trade show displays and online and print advertising.